Hosea 11:1 (KJV) When Israel was a child, then I loved him, and called my son out of Egypt. I was impressed that Israel is referred to in the masculine gender. Generally, when speaking of a nation of people they are referred to in the feminine. Indeed, Israel is pictured as a wife, married to God, even in this book. Yet here Israel is a “him”. The possible explanation would be that this is a specific reference to Jacob as an individual and not as the nation. He is clearly spoken of at the end of the next chapter. But this possibility is eliminated within the verse, as Jacob was not individually called out of Egypt. My point is that we must not make more out of the types and pictures of the Bible than are there. I have been in communication just this week with a man who insists that the church, as New Testament Christians understand it, cannot exist. God has, in his view, just one bride who is Israel. He cannot be an adulterer therefore the New Testament bride must not be a Scriptural entity. 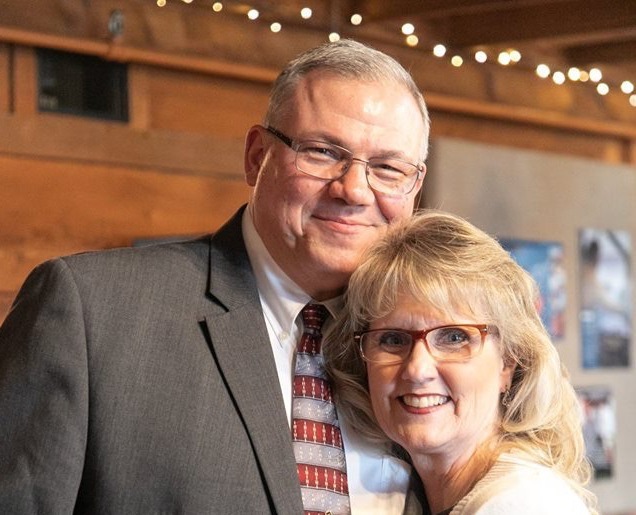 Another man, a pastor and much used Bible teacher, justified his own multiple divorces and subsequent remarriages by claiming God is divorced from Israel and espoused to the New Testament church. But pictures are pictures and not substance. They serve to illustrate truths but they are not the truths they illustrate. Many a false doctrine has been born through making more of a type than we ought. Albeit unfaithful. To my readers: I would love to hear from you. Leave comments below. For this and more than 3800 earlier Daily Visits with God visit Pastor Marvin McKenzie’s blogger page. There you will find daily visits going back to 2006. If you have been blessed by this blog, please subscribe to my feed and share it with others. For more resources from Pastor Marvin McKenzie visit Bible Baptist Church of Puyallup. Here is a beautiful invitation of reconciliation to God. Of course this passage is addressed first to Israel who, as the people of God, had turned from Him. It is true, however, that in the broader sense all humanity was originally God’s. It was through the fall of Adam and Eve man turned from God. In a real sense everyone who turns to God returns to God. It is God who has torn and smitten us. He has either lifted the restraints of evil or directed some form of judgment to correct and get the attention of men. The parent who disciplines his child is the same who protects, nurtures and comforts his child. It is all accomplished through the gospel. The reference to being raised the third day is, if not more, a reminder of the death, burial and resurrection of Christ after three days and three nights. Though he has recovered his wife and bought her from the slave market; all is not as before. At least not yet. Hosea imposes a period of perfecting. Restoration of relationships is no small thing. Violations must not be swept under the rug. Immediate forgiveness is essential of course, but restoration will take time and commitment. We must never forget, however, that the primary lesson, in Hosea, is not concerning relationships but the relationship Israel has with God.